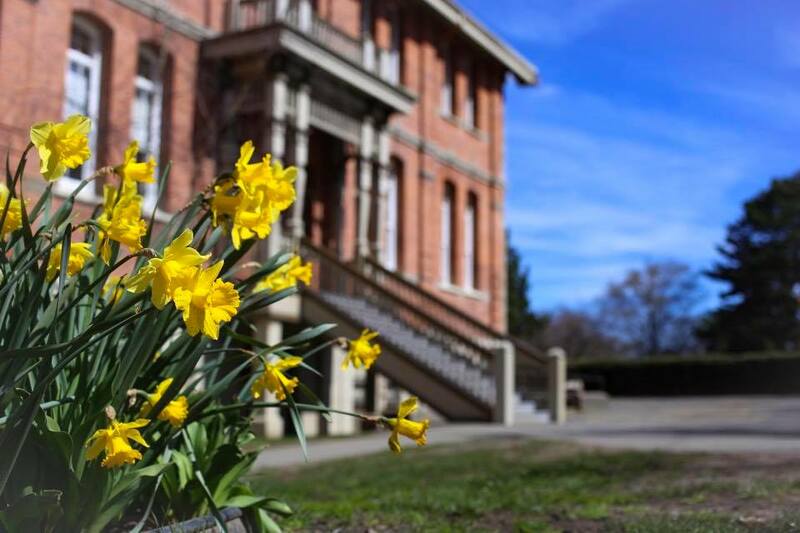 Every year the PAC hosts a number of events to enhance our school community and the education of our children. These are run by our amazing parent community and these dedicated parents put many hours into each event. Some are community builders whereas others also serve as PAC fundraisers. Come join us! Our annual celebration and community builder to celebrate the return of school. The PAC hosts a potluck, usually in the school's field, where families bring their own plates, cutlery, blankets, and a dish to share. Old friends catch up and new friends are made! Volunteer: help with set up and take down is always appreciated! A well loved South Park tradition celebrating our 27th year! 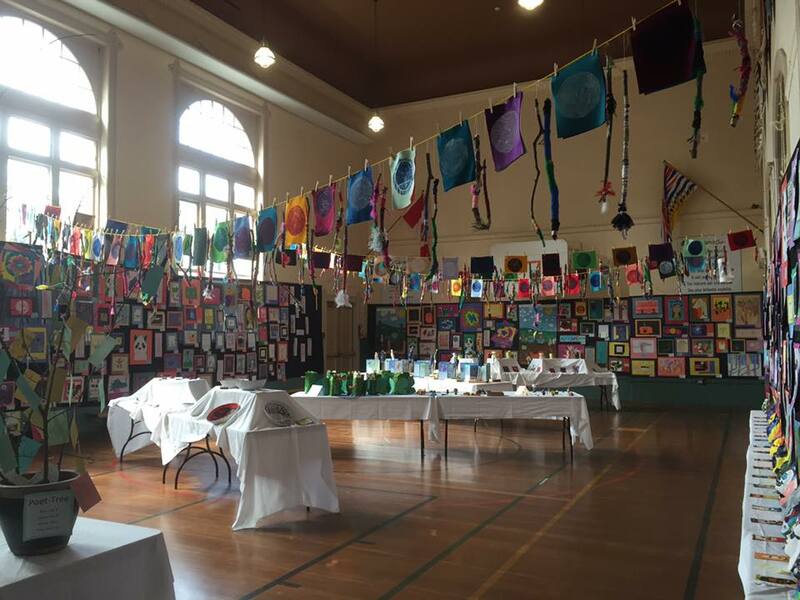 Our children spend many dedicated hours throughout the year creating wonderful pieces of art and the art show is a means to celebrate this creativity. Parents spend time with each student supporting them to choose 2-3 pieces of their favourite art that are then carefully labeled and mounted for display. The gym is transformed into an art gallery as parents diligently hang and display each piece of art. The "gallery" is open all week long and parents and families are invited to come explore. The Art Show also overlaps our Auction Gala and provides an amazing background/decoration to our annual fundraising gala. Volunteer: Help need to help the children choose their art, label and mount art pieces onto construction paper, and to help set up the gym on set up day. Options primarily in school hours, but mounting could be done at home if discussed with teacher. This is the night the community comes together to have fun! It is a ticketed ($10), adult only event, with amazing hor d'oeuvres, live music, and a cash bar. Parents solicit donations from the community, or donate goods or services of their own, which provides a wonderful array of live and silent auction items to be bid on! It is one of the funnest nights of the year! The Auction Gala is the PAC's biggest fundraiser for the year. It is because of the dedication of the parents who organize, and those who attend and bid on our amazing offerings, that we can fund our PAC budget each year. Check out the auction website at www.southparkauction.com for all the details needed to get your donations in! Volunteer: Ample opportunity to volunteer for out of school time! Soliciting donations can be done in person, by phone, or via email. Help is always needed for set up and take down on the day of the event, along with options to run a table (bar, tickets, etc) during the event. The emporium is a magical tradition at South Park. Every December the PAC transforms the school gym into a "store" where the children select the most creative of holiday gifts for their selected family and friends for $1. They bring these home wrapped in beautiful South Park community made wrapping paper and bags. South Park Families donate gently used household items, toys, and gifts to the school and the emporium committee works long hours to get this magical day prepared for the kids. On shopping day, students come with a list of people to buy for (max 6 items/person during class time) and their gift tags. Primary students are helped by their big buddies. Once the children have finished shopping for the day, the doors are opened to families who can get some great deals on the leftover items! Donations accepted: household items, clean and operational toys, jewellery, hobby and entertainment materials, baskets - almost anything. PLEASE DO NOT SEND: clothing, broken or incomplete toys/puzzles, opened or unsealed toiletries, perfumes, etc., or anything that requires cleaning or fixing! PLEASE consider grouping things in advance to help the emporium committee to sort and organize donations in a timely fashion. Volunteer: Help is always needed to help sort donations - even just an hour would be wonderful! Set up and take down for the event goes so much faster if there are many hands (this can be done after work as set up and take down doesn't begin until after school). Volunteers are also needed after the event to sort remaining donations and transport to local donation drop off. The holiday craft fair is a wonderful community event where local and community vendors fill our school with their businesses/crafts for our enjoyment! South Park families are encouraged to book a table too! 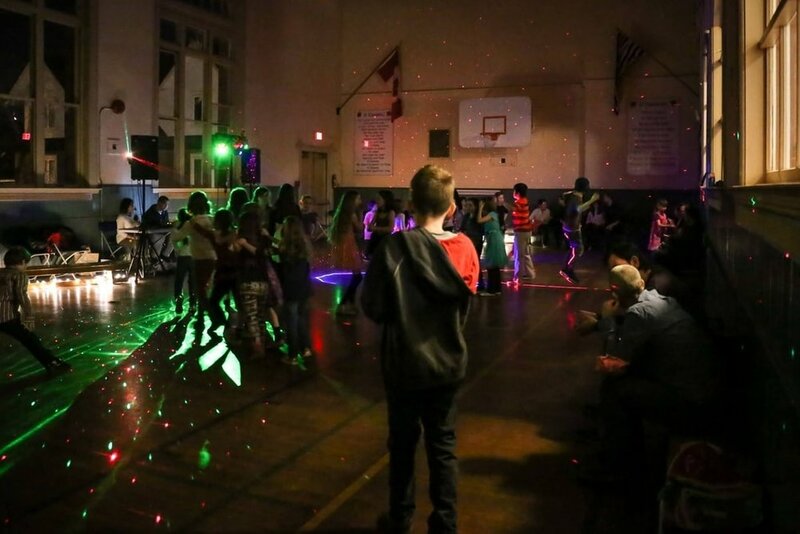 It is a great way to kick off the holiday season and the kids and community LOVE it! Come check it out! Volunteer: Volunteers are needed for set up and take down on the day of the event. 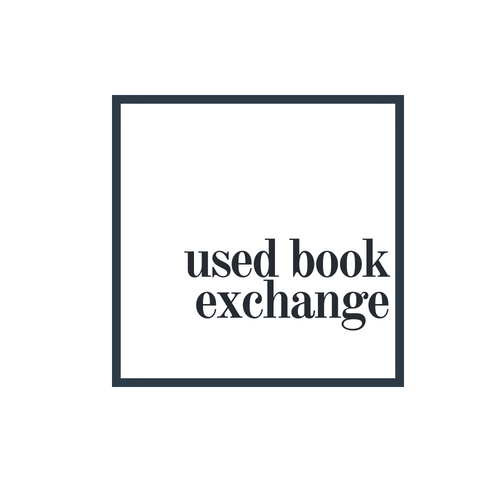 The teacher librarian works with a local bookstore to have a select group of books brought to the school, where they can be purchased by parents or friends of the school at a discounted price to be donated to the library. There is a sticker nameplate, with a message space, that can be added to the inside front cover. Twice a year the PAC collects gently used clothing from our families, organizes it, and displays it for sale. Join us for some great thrift shopping. Price are usually $0.50 for children's items, $1.00 for adult, or $5.00 for a whole bag! Donations accepted: gently used and washed clothing for all ages. Please only send items that you would want to purchase yourself. PLEASE DO NOT SEND: dirty, over-worn, stained or damaged clothing. Volunteer: Many hours go into sorting the clothing into age, gender, and type of garment categories. Any time you could give to help the sorting would be greatly appreciated. You can help from home by grouping your clothes into mens, womens, children's clothing and marking it as same. Many hands are needed to help set up and take down. Along with transporting leftover clothes to various donation locations post sale. Two to three times a year, your PAC hosts an education night for the parents of South Park. Speakers vary and suggestions are solicited from the parent body as to what they would like to have featured. Funding for the event is through the PAC who also applies for bursaries to keep costs low. Out of school care is provided free of charge to parents to improve accessibility. Please contact the PAC Chair to make a suggestion. Every month the children have an opportunity to have a pizza day lunch to change things up a bit! Parents have the opportunity to place an order twice a year (September and January) for the coming months. Parent volunteers come to the school and deliver the pizza and juice (if ordered) to each division. Volunteers get a free slice of vegetarian pizza! Didn't get your form? Contact Sue in the office or parent pizza chair Brooken to get one! 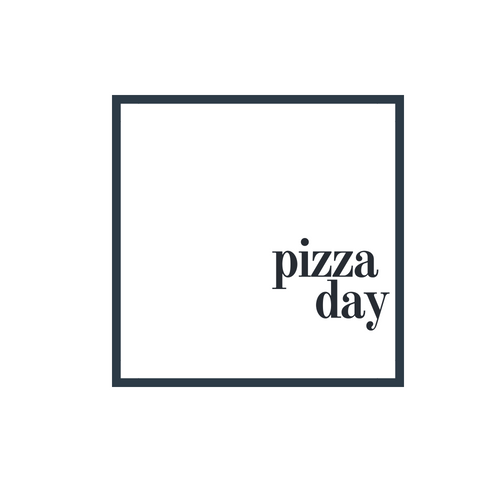 Volunteer: Each division will have at least 2 pizza day volunteers who will come to the school on the last Wednesday of the month from 12:00/12:10 - 12:30 when the children come in from lunch recess. Parents will typically stay until lunch finishes at 1pm. One Duty Month parent will be present to facilitate the delivery and ensure all classes get their pizza! Contact your Class Coordinator to help! 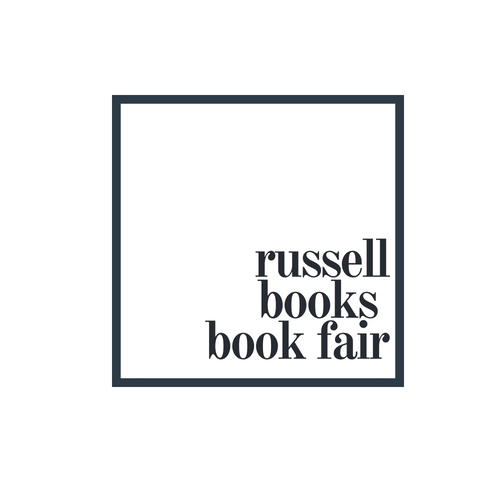 Once a year we invite Russell Books into the school library for a week long Book Fair. A great selection of books is always available and it's a great way to buy books at a reduced cost for yourself or to start your holiday shopping. Teachers often select books they wish to have for their class and parents can purchase these for their children's class. Sales from the Book Fair are donated to the library fund. Shopping is open before and after school, along with one night time option (date and time TBA). Volunteer: Parents are needed for set up and take down, along with various shifts throughout the week to man the cash box. The Spring Fling is a whole community event that is held every other year (opposite the Whole School Production). It is typically held on a full weekend day in spring. In the past it was very parent hosted (e.g., cake walk, raffle, etc), but was revamped over the past few years to be more vendor reliant. It draws local vendors, has games on the field, and hosts a family/student performance stage which is a true family favourite. Volunteer: The event is currently seeking a chair. The bulk of the work can be done from home at anytime and is a great opportunity for a parent who works full time. Volunteers are also needed to help set up, take down, and run concession, etc during the event. This is truly one of the finest events at South Park as the parents come together to show our appreciation to the teachers and staff for all the hard work and dedication they have to our kids. The PAC sets up a beautiful potluck and dining area for the staff and food is provided by the parents of each division. Parents serve the staff and much fun is had! Volunteer: Volunteers from each division will be solicited by their Class Coordinators to bring a side/salad, a main, and a drink/dessert. Volunteers are also needed to supervise the children during the lunch hour from 12:00-1:00 so the staff can enjoy their feast. Help with set up and take down are also needed. Families donate their gently used books and the gym gets transformed into a book store heaven! For every two books your child brings in, they will get a ticket for one free book (up to 10). Shopping opens after school for parents and staff! Please watch for when to bring in your donations. Volunteer: Volunteers are needed to sort books and for set up and take down. Help is also needed to transport left over books to be sold or donated. This a is a PAC funded event that is primarily a social and a way to engage with other parents. It includes coffee, tea, and occasionally light snacks that are handed out by parent volunteers. Come say hi and catch up. It's a great way to welcome back families to the school. 2018 marked the first year for Window Wanderland in Victoria and James Bay was keen to participate. Businesses and homes made creative and beautiful window displays that were illuminated for two evenings. Our students participated and the whole school came together with the support of some amazing parents to created a fabulous display that was lit up in our gorgeous library. We hope to continue on this tradition! Volunteer: Parents are needed to help choose a theme and work with each division to create a masterpiece.